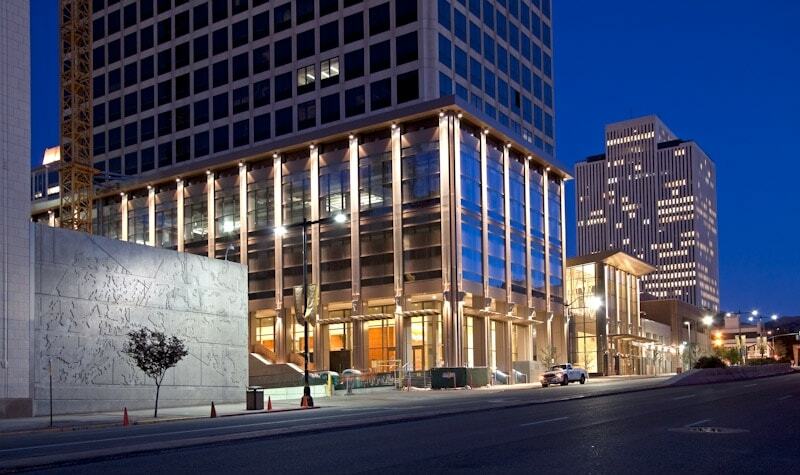 Thinking Big certainly brings unique and challenging projects to Big-D Construction. 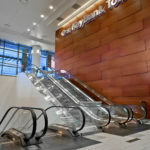 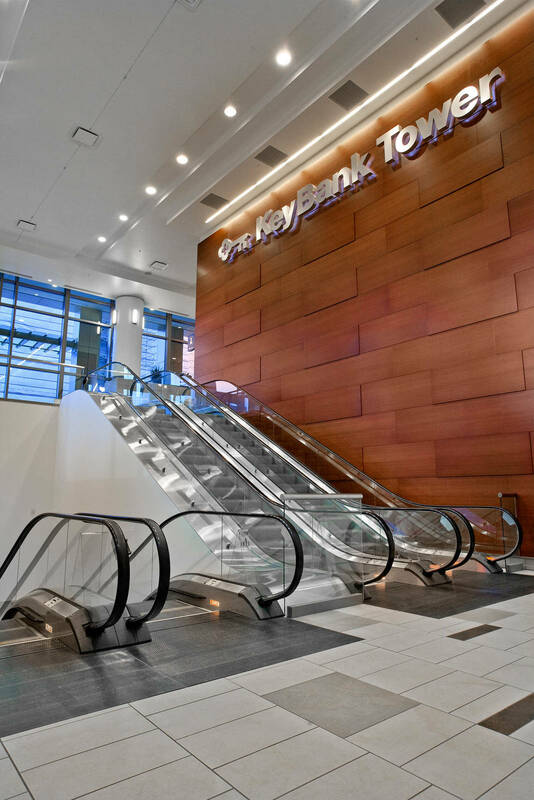 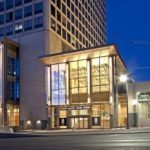 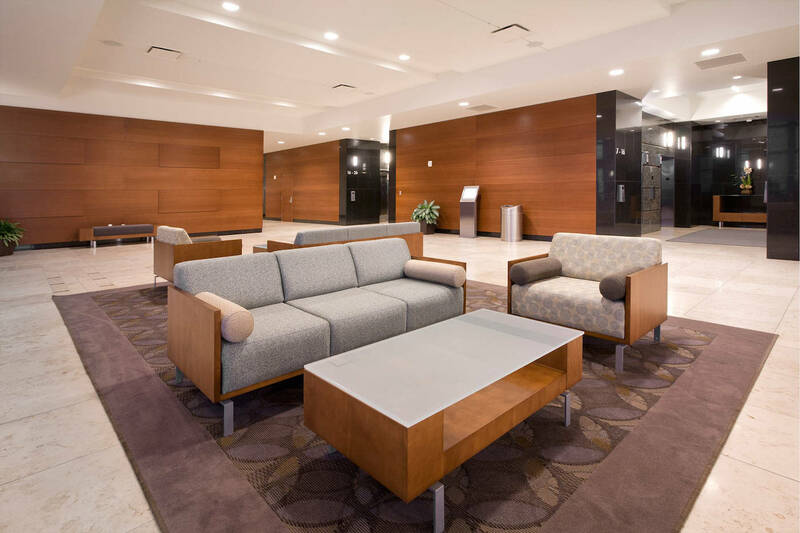 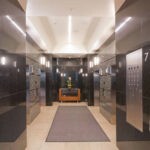 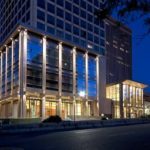 The Key Bank Tower and Food Court remodel project in downtown Salt Lake City was unique from day one. 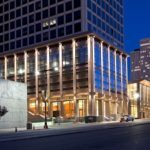 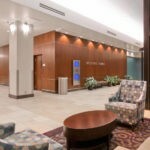 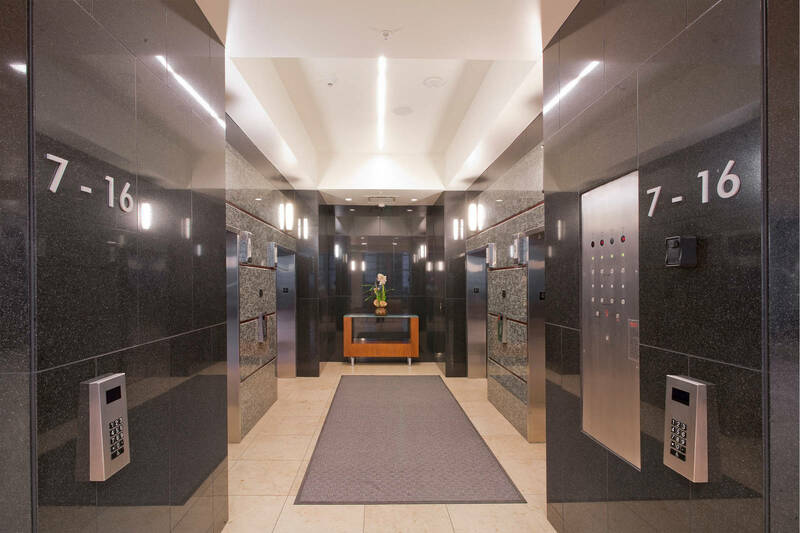 Nearly 2,700 professionals work in and around the Key Bank Tower (previously known as the Beneficial Life Tower), and Big-D worked hard to not disrupt them during construction. 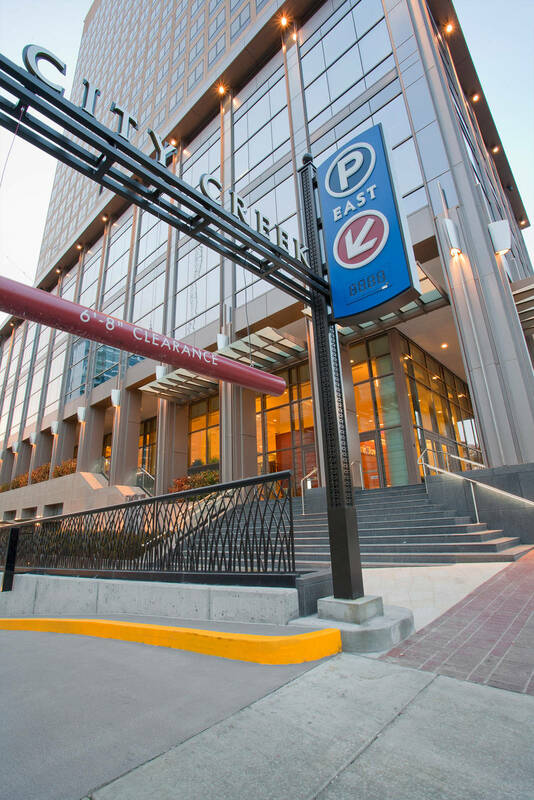 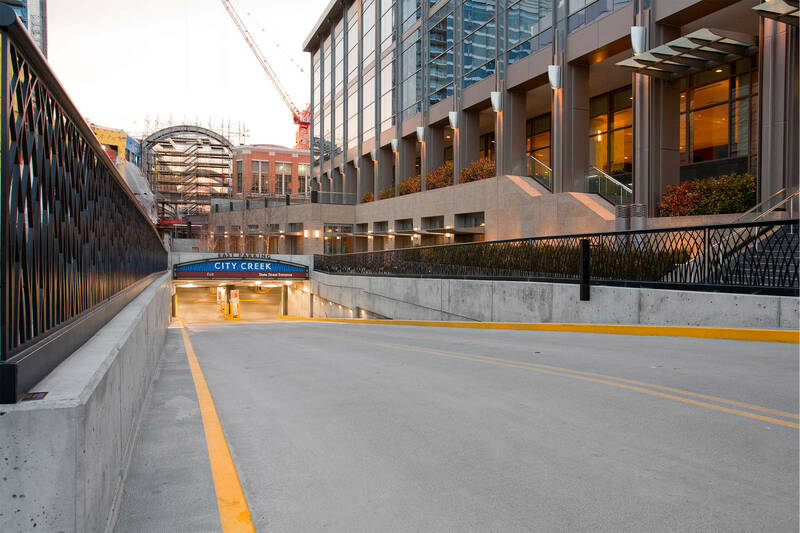 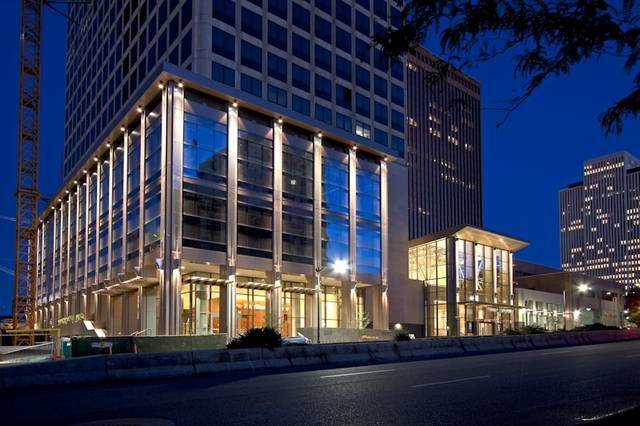 This project was part of the massive City Creek development in the heart of Salt Lake City. 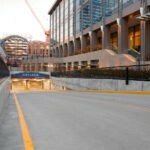 Our work involved approximately 288,030 square feet of service tunnels, parking levels, storage areas, common areas, retail tenant spaces, lobby and plaza areas, office spaces, mechanical areas on multiple floors, food court tenant and support spaces, Qwest Tower removal, escalators, elevators, and coordination with other construction projects. 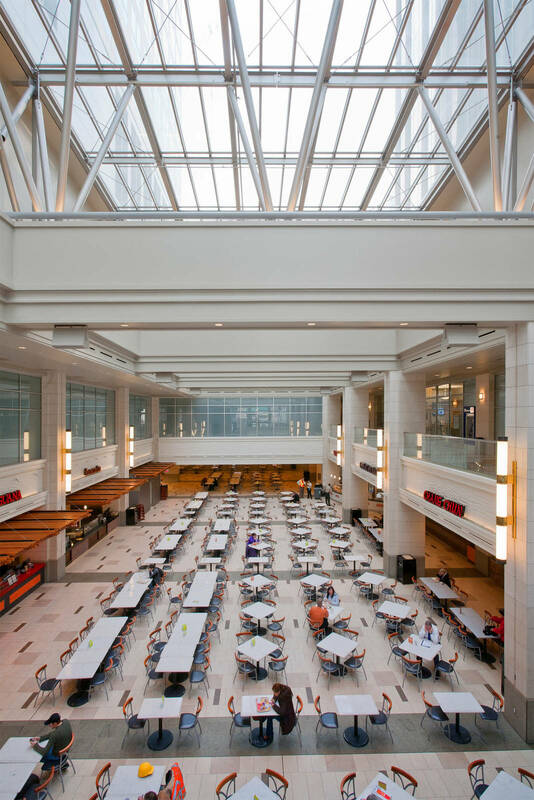 Approximately 2,635 workers were on site at one time or another and it took a small army to manage all the changes. 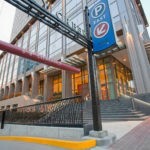 Big-D maintained a public access throughout the project, even during the demolition of the parking garage and the base of the tower. 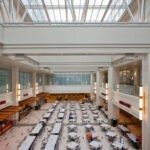 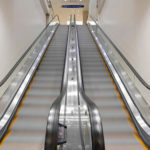 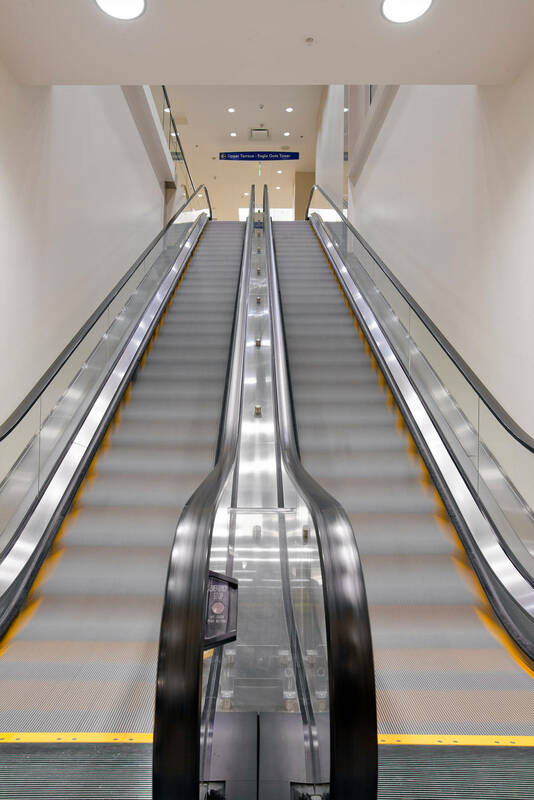 The complexity of the project revolved around maintaining operation of the food court and all remaining buildings during the entire course of the project. 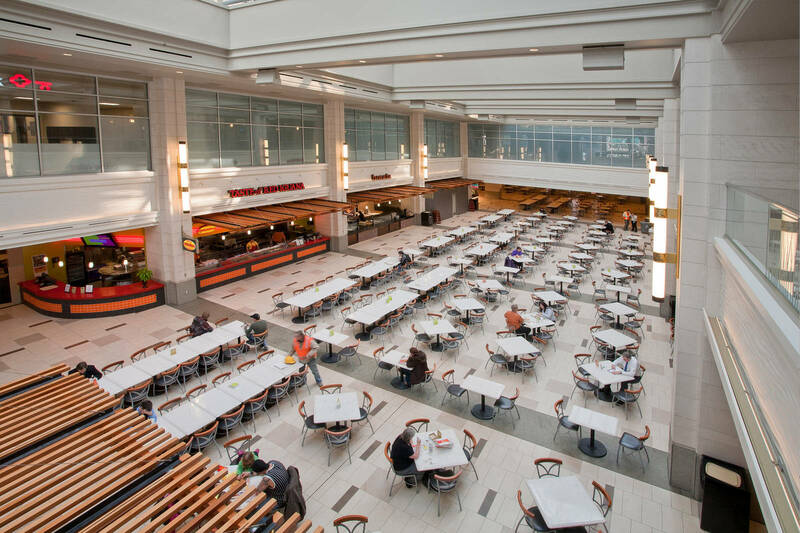 The requirement to have an operational food court while building a new one was a challenge Big-D embraced. 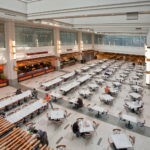 We phased demolition and construction to allow for occupancy and reconstruction of new structures before we demolished the old food court. 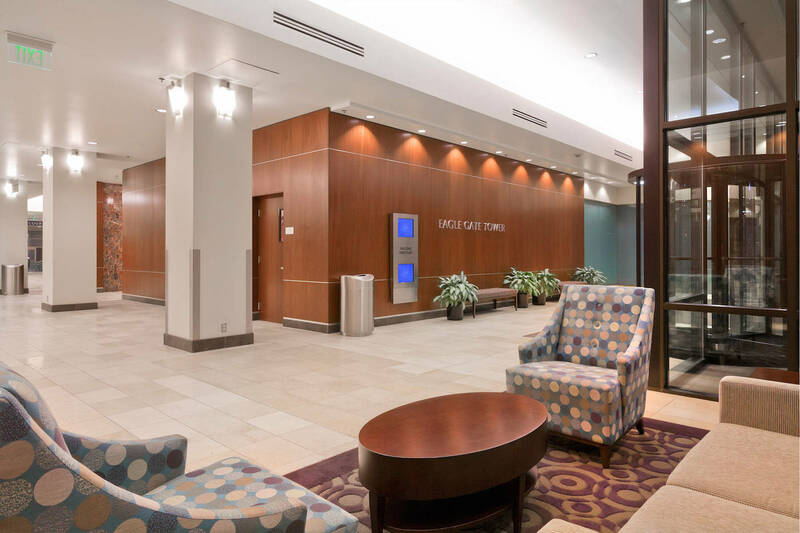 The project was a phased program of intricately planned demolishing and rebuilding to allow the tenants of current buildings to function as if the renovation had never occurred and to provide uninterrupted food service to the area.